In Albany, Oregon you’ll find an effects builder that has more on their mind than electronics. A builder that is growing a business centered around improving their community as they grow and expand their pedal line. The builder is Pettyjohn Electronics and according to their website their goal is to build a ‘culture upon [their] endeavor to live out what [they] believe in [their] day to day business being a people of faith.’ It’s a company that obviously has a stake in their local community and the community they’ve created through the musicians and artists they’ve come in contact with throughout the years. There are other effects builders out there with goals and missions that benefit their community, but seldom do we see them so well explained on their ‘About’ page. Beyond the mission to improve the lives of those they come in contact with, the Pettyjohn crew also have an eye towards creating electronics that people want on their board. The whole idea behind their business is to use analog technology in new, modern ways. New tones for the musicians of tomorrow. Up until now they had just one pedal in their production line – the Predrive (it comes in both the standard version and the handwired version). 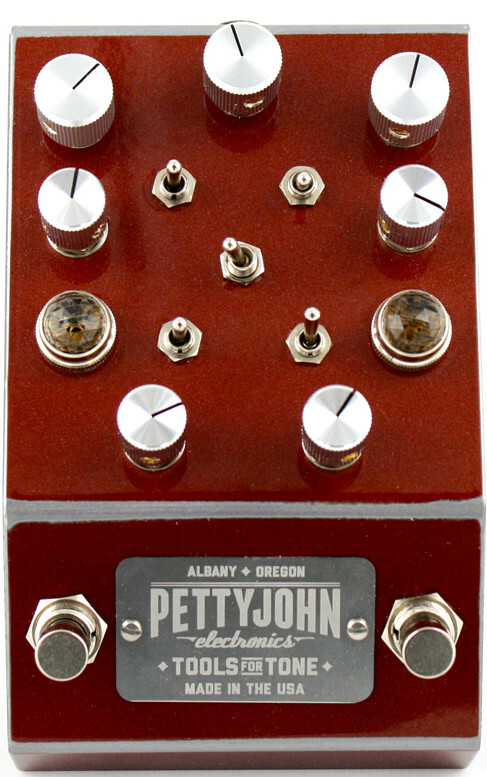 Now, however, they have announced a new member to their family – the PettyDrive (again, both the standard and Deluxe version).